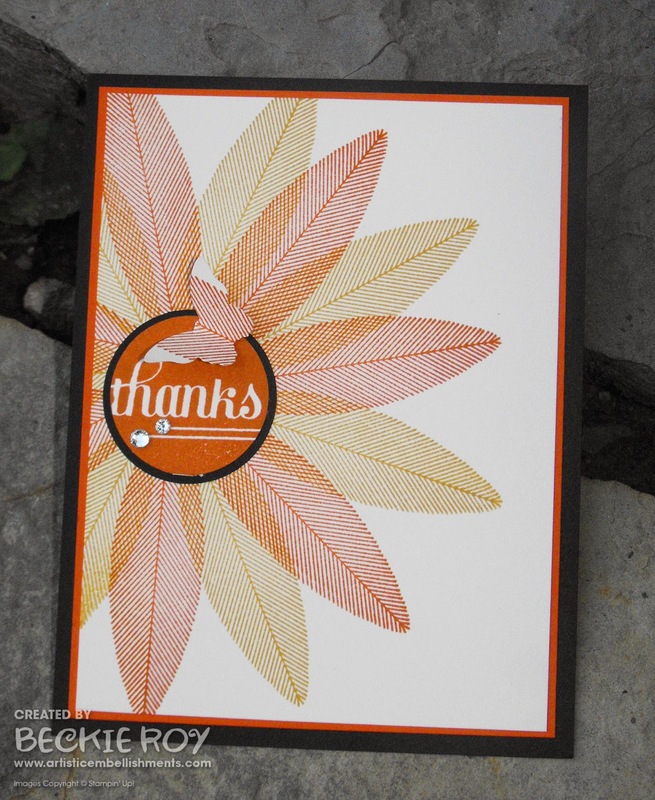 I made a card similar to this one a while back - but I only used one colour for my flower. I kept saying how I should make them for a swap, so I did. My upline, Jenn has a swap a couple times a year and the criteria for this swap is to use a 'new' product from the annual catalogue. We are not allowed to use any retired products or make it a holiday theme (so an everyday use card such as a birthday or thank you card would be appropriate). I chose to use 'A Happy Hooray' since it's probably my favourite new stamp set (it's definitely the most used!). I really like the feather - so can you guess what I used...??? Yep, the feather! I made a pretty flower with the feather, since I ordered the clear mount option is was easy-peasy to make this 'feather' flower. 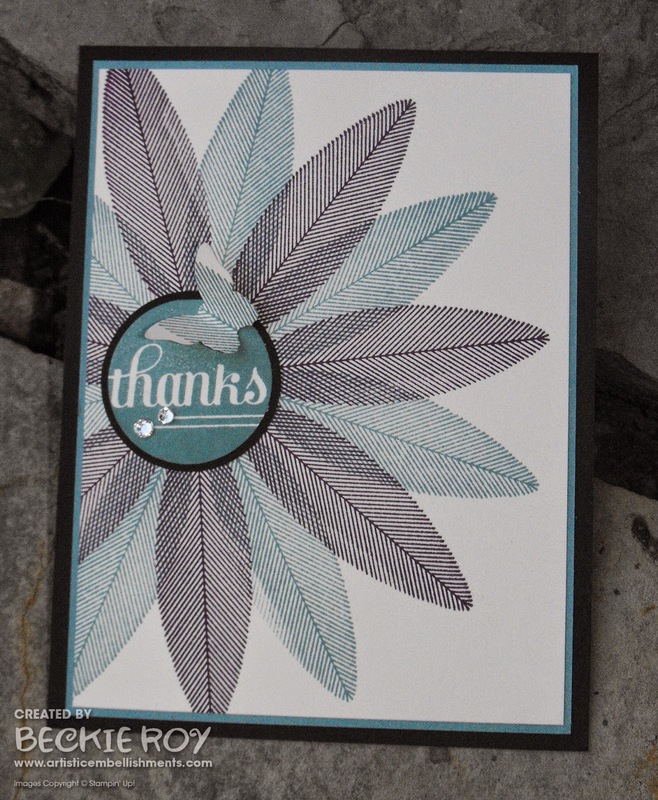 You can use a stamp-a-ma-jig if you weren't planning on covering the center, but any not-perfect stems are covered with the 'thanks' anyways... shhhhh, don't tell! For my card, since I keep a copy for myself - I made this one after I was finished them all, I used 4 of the 5 in-colours (since Mossy Meadow isn't really a flower colour, I didn't use it - I still love it though!). I really like the rainbow look, wish I'd done this one first. Ah, well another time! Here's a photo of my swaps. I made 4 different ones, in case some swappers don't like a particular colour... but who wouldn't love any of these fab colours (I love all of them!) 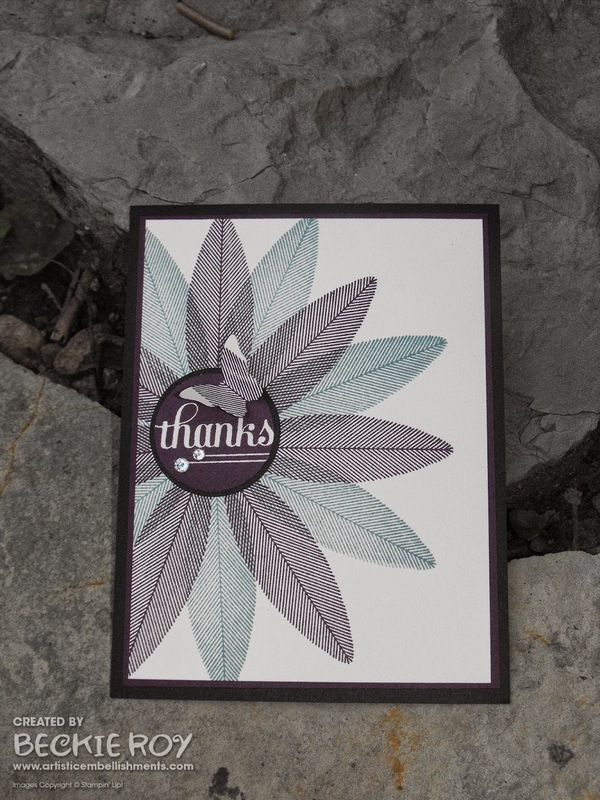 I used two ink colours per card, I like the effect the double stamping creates. Here is the Tangelo Twist version. 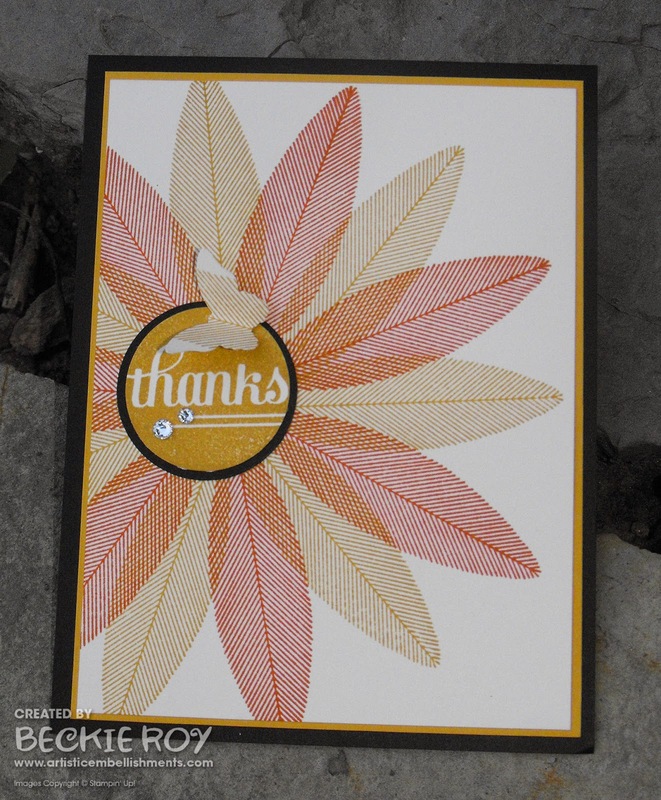 The 'thanks' is stamped with the same colour as the layer piece. Here is the Lost Lagoon version. Here is the Hello Honey version. Here is the Blackberry Bliss version... I think this one will be the most popular, most people seem to really like this colour - it's my fav purple tone. 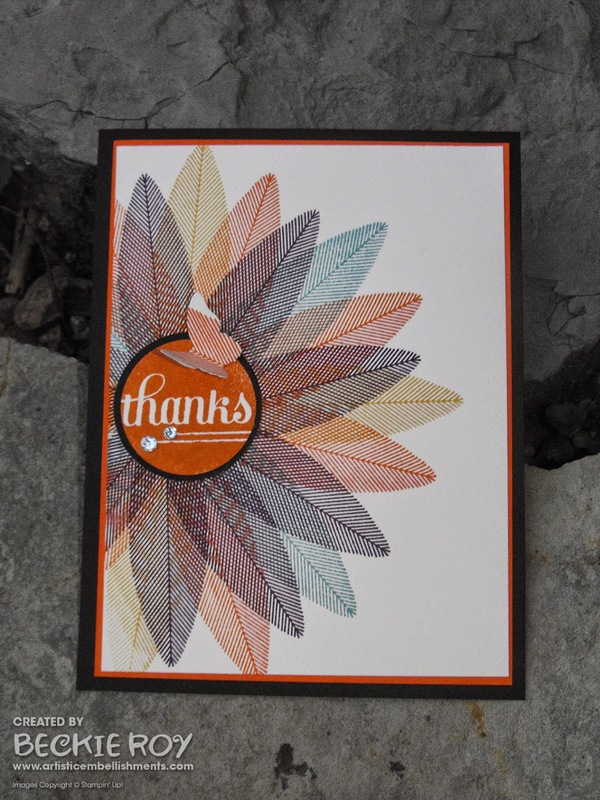 Give Thanks for Four Feathers! MY Holiday Catalogue TOP PICKS! Outlined Stamping and a Sunny, Sparkly necklace!